Sua mãe CASHREYCIOUS 09, importada. Possui a soma de 32 pontos pela ABQM. Registro de Mérito Aberta/Amador. - 1°L. 4º Campeonato Paranaense de Ranch Sorting APNQM 2018/2019 - 1ª etapa Ranch Sorting - Aberta ? Livre. - 1°L. 3º CAMPEONATO PARANAENSE DE RANCH SORTING APNQM - 3ª ETAPA Ranch Sorting - Amador - 19 anos ou mais. - 1°L. 3º CAMPEONATO PARANAENSE DE RANCH SORTING APNQM - 1ª ETAPA Ranch Sorting - Aberta ? Livre. - 1°L. 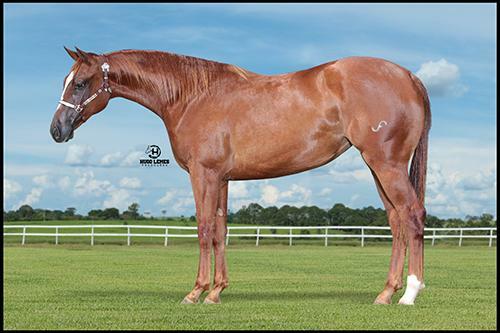 3º CAMPEONATO PARANAENSE DE RANCH SORTING APNQM - 2ª ETAPA Ranch Sorting - Amador ? Master. - 2°L. 4º CAMPEONATO PARANAENSE DE RANCH SORTING APNQM 2018/2019 - 2ª ETAPA Ranch Sorting - Aberta ? Livre. - HALREYCIOUS (Dual Rey) U$ 227.459,00. Res Campeão NCHA Super Stakes Open Classic 2008; Campeão 2007 NCHA Super Stakes Open Classic; 3º. L Abilene Spectacular Open Classic; Finalista NCHAOpen Classic; Campeão West Texas Open Derby; 4º. L South Point Open Derby; 4º. L South Point Open Classic; Finalista Brazos Bash Open Derby, South Point Winter Open Classic, Augusta Open Classic. - REYDICULOUS (Dual Rey) acima. - STYLISH REY (Dual Rey) U$ 30.235,00. Campeão Breeders Invitational Limited Open Derby. - CHARLIES ANGEL REY (Dual Rey) U$ 7.413,81. Res Campeã 2008 Rocky Mountain Open Derby.